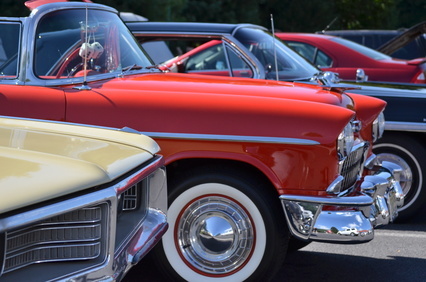 Classic cars are the stuff that dreams are made of, and getting one at a heavily discounted price is an opportunity few classic car enthusiasts would like to miss. If you dream of restoring or owning a classic car some day, you can fulfill your desire at AutoBidMaster where you can find a lot of great options in wrecked cars for sale auctions. However, if this is the first time you are planning to roll up your sleeves and get your hands dirty, it is essential to know the basics. So, to help see you through a successful classic car restoration process, we give you a few handy tips. Take a look. Buying a classic car at auctions offering salvage cars for sale is just the start of your journey, as you may have to replace a number of parts and work on the aesthetics to get your car ready for the road or market. Make sure to account for all the necessary expenses in your budget to make sure that you can finance your project to completion. At the end of your project, the car must have a smooth revving engine and high-quality original or compatible parts. Make sure you have cleared enough room in your garage to accommodate the car and any tools and equipment that you may want to use before you take delivery of your vehicle. Wrecked cars for sale also give you access to totaled salvage classic cars that are beyond the scope of repairs. Such cars are a great opportunity to get parts for your project at an affordable price, even the hard-to-get ones. If you are getting a second wrecked car for sale for the purpose of acquiring parts, consider this fact when preparing space for the project. There are thousands of people who are either classic car enthusiasts or know where you can get the services and parts that you need to see your project through. It is advisable to become part of such communities to exchange knowledge and information that help you succeed and keep costs as low as possible. A simple online search will link you with a host of active communities of classic car enthusiasts and information. AutoBidMaster’s online auctions give you access to an extensive selection of wrecked cars for sale, featuring numerous classic cars. Browse through the deals available at our salvage car auctions to find your next classic car. Participating in the auction is as simple as ABC, as all you need to do is register start bidding! For more information on any of the wrecked and repaired salvage cars for sale listed with us, you can reach us at +1 (503) 298 4300. You can also fill out our contact form and we will get in touch with you, as soon as possible.